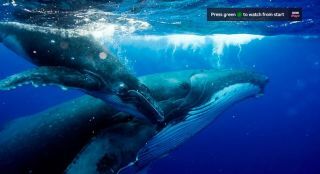 You can now restart BBC shows on Smart TVs using the green button | What Hi-Fi? The update goes live today, with smart televisions from Philips, Panasonic, LG, Samsung and Sony getting the feature. Missed the beginning of your favourite show? Well, if you're watching on BBC One / One HD, BBC Two / Two HD or BBC Four (with Four HD coming onstream at some point in the future) you'll be able to instantly restart the show by hitting the green button on your remote. The update is going out today - an on-screen graphic will appear when you visit the channels, prompting you to try out the new feature. While you need to have a Smart TV to use the new time-shifting update, it won't work with every Smart TV. Many of the 2017 and 2018 models from the major manufacturers like Philips, Panasonic, LG, Samsung and Sony will receive the update (although Sony's AF8 and XF8 ranges from 2018 gets missed out). If you're concerned, there's a full list of products receiving the update available here. High Frame Rate TV - what is it? Why does it matter? BBC 4K iPlayer - what next?